If you have a huge number of images or photos it is important to locate them rapidly instead of browsing. Keywording and categorisation is the key to find your pictures. Build your pictures database with captions, descriptions and keywords to speed up photo search. Kalimages manages embedded metadata for photograph and IPTC properties: a photographic read/write metadata software. Add folder to scan and select your picture folders. Check the folders that you want to index. Click on button Scan checked folders to scan. When the photo indexation is finished, use Exit button. That's all, your database is created! You can create more than one database: use Create New Database button, specify a file name, execute Step 1. Your collection is ready. 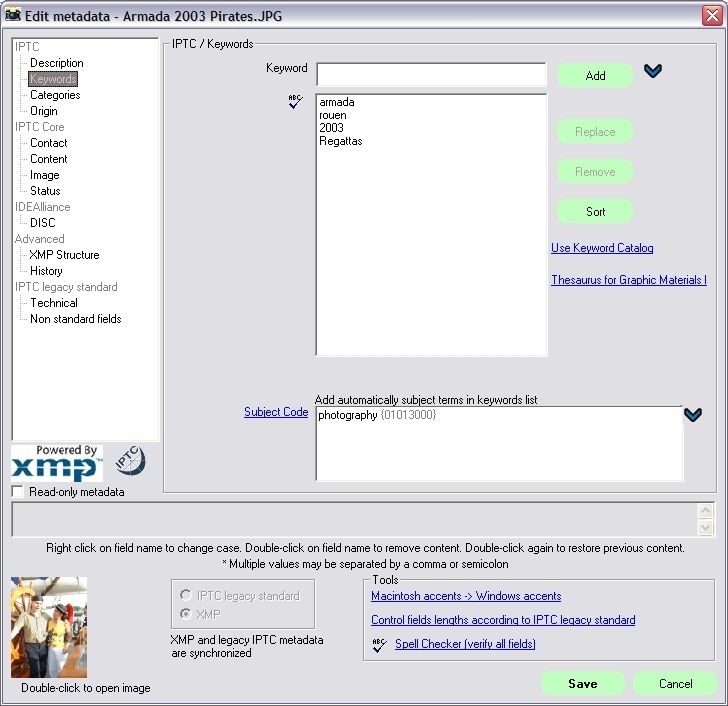 Kalimages will find your photos using photo name, digital file path IPTC or XMP metadata fields. Search options can be set to search only within some metadata fields for example Title, Copyright, City, Date created, Headline or any keyword. Type the term to search, click on Search button to locate related images. Search results can be sorted by size, name, urgency, source, etc. Images corresponding to search in your database are listed as thumbnails. Clicking on a photo displays all information is below, search word terms are highlighted in blue and bold. Of course photo metadata can also be copied to clipboard with Kalimages using right contextual menu. You can also send selected digital photos via email. - export to XML and enhancement SQL queries. Accurate classification for stock photography management, tool to export photos to html presentation. Kalimages image processing tool offers English, French, German, Portuguese and Spanish interface language for your digital photography management with tag search features even on jpeg image with xmp data.